Prince’s first big hit was the 1983 song called Little Red Corvette. According to the late singer he came up with the idea for it when he was taking a nap in his backup singer’s car and saw the lyrics in his dreams. 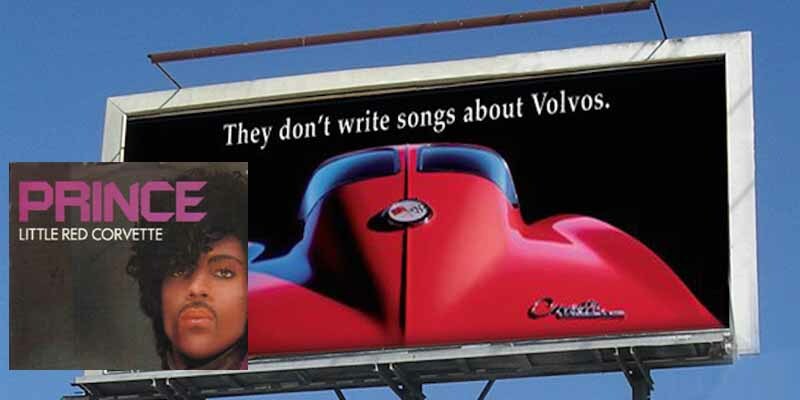 Chevrolet took advantage of the song’s popularity with a “They don’t write songs about Volvos” ad campaign.